These are a selection of our recommended hop stockists. 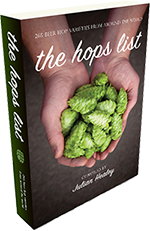 Use this list to find the right hop at a quality retailer or wholesaler. You’ll also find links to these same companies on each of our individual hop pages. 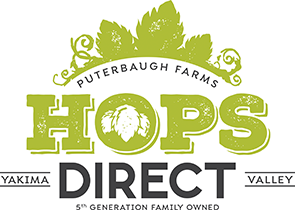 Puterbaugh Farms is a 5th generation hop farming family, growing hops in the Yakima Valley of Washington State since the early 1930’s. We stand behind our product and take every step necessary to ensure that our hops live up to the high standards maintained by our Puterbaugh Family. We currently grow 19 different hop varieties, but we are always expanding and looking toward the future. As growers, we provide hops that are dried at precise temperatures and handled with genuine care. Our hops are kept in cold storage year-round here on our farm until delivery direct to you. The Hops Direct stencil on your order is our guarantee that you are receiving our highest quality hops straight from our family to you and yours. Did you know that 80% of all the hops grown in the USA are grown in the Yakima Valley? Yakima Valley Hops supply hops for contract, wholesale, and retail to domestic and international customers. Located in the heart of Yakima Valley, they stock over 150 varieties, each packaged in mylar foils with resealable zip locks. Established in 1995, the team at Great Fermentations are driven by three things: helping their customers make great beer and wine on their own, providing the best products and service day in and day out and of course their daily 5:30pm shift beers. Made up of brewers and vintners with a combined 45+ years of experience, they love talking about their craft and helping customers with whatever fermentation desires they might have. Whether you are local to Indiana or shopping online, they’re here for you in the never ending quest to craft that perfect batch. Our mission is to create an environment that fosters the hop industry in Michigan through knowledge sharing and equipment availability in order to create a product for our breweries and home brewers that is superior in quality and environmental responsibility. We are a Michigan farmer owned and sustainably grown, high quality hop producer. Our focus is to be a resource for Michigan hop growers and to provide Michigan breweries and home-brewers with the best hops in the Mid-West. MHA can meet the needs of the most specialized breweries to the beginner home-brewing masher! Are you a quality hop retailer or wholesaler? Contact us to get listed. Humlegårdens Ekolager is a family owned business, founded in 1992 by Eva Fahleson Ekelin and Svante Ekelin. Our business idea is to provide good ingredients, equipment and literature, as well as good service, to home brewers and craft breweries. Humlegårdens Ekolager has since its start been the leader in Sweden on our market: ingredients of high quality for small-scale brewers. An overwhelming majority of winners and medalists of the Swedish Championship of homebrewing since the start in 1989 have been, and are still, our customers. Many of these have gone on to start their own professional breweries. We provide malt, hops and yeast to most of Sweden’s breweries. Naturally, our products are of the same high quality for professional brewers and home brewers alike – the only difference is the amount. Humlegården in Ekskogen, Vallentuna is the address where the company was founded and stayed for its first seventeen years, until 2009 when we needed to move to a larger warehouse. The name literally means The Hop Yard, and is called so because hops were grown in that area back in the days. Ekolager – Eco Store – refers to our aim to store and supply our goods in an ecological and economical fashion. Northwest Hop Farms are a Fraser Valley hop farm and full service hops distribution company. We grow, and process first class BC hops. We source and distribute premium hops from BC and all the great growing regions around the world. From field to glass! National Home Brew caters to brewers at all levels, whether you’re after range, value for money or hard to find items. They offer over 100 different brewing kits, 130 varieties of grains including Australia’s widest range of specialy grains for steeping and over 70 varieties of hops. Whether your preference is home crafted ales, wine making from kits or grapes, spirits or any one of our extensive food ranges, you’ll find everything you need at National Home Brew. 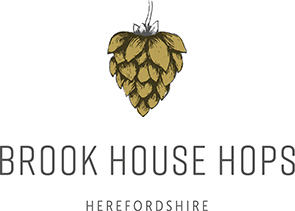 Established for over 20 years, their staff are all brewing and food enthusiasts so they understand your needs. Brew like a pro. Australian-based Clever Brewing is here to help take your brewing to the next level. Home brewing supplies and service that you just have to experience. They’ve got all the malts, hops, yeast, and brewing equipment you’ll ever need to brew your own craft beer. If you’re as passionate about beer brewing as they are, take a look. New Zealand Hops is a Nelson-based contemporary grower co-operative with core business values founded on collective sustainability, innovative research, creative technologies and modern operational capability. Hops have been grown in the region for more than 150 years and co-ordination of the industry was facilitated with the inception of the New Zealand Hop Marketing Board in 1939. With 18 Members, the co-op exports 85% of its harvest to over 30 countries world-wide. Hops currently grown include 15 unique New Zealand varieties, 8 specially selected northern varieties, and under certified Organics.